When it comes to business signs and services, we've got it covered. We're experts at exterior and interior electrical and architectural signs. But that's only the beginning. Huron offers complete design and technical consultation to ensure the integrity of your logotype while meeting the most stringent sign criteria. We are uniquely capable of adapting the physical requirements of your sign with your store design. 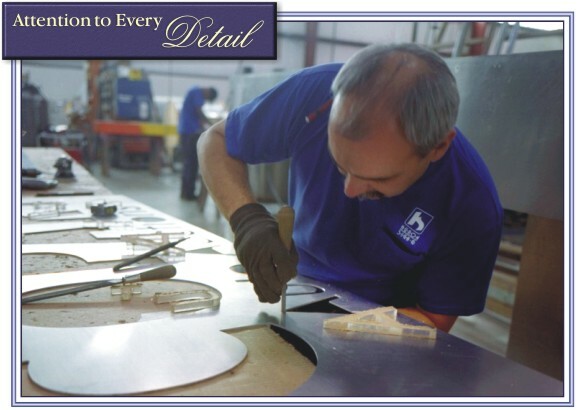 Over the years, we have assembled a diversified group of dedicated, highly skilled craftsmen who really care. All of our signs are fabricated "in house" with careful attention to all details with strict quality control being exercised at all stages of production through final installation. At Huron Sign, we are big enough to handle your signing needs, yet small enough to be totally responsive to your individual requirements.